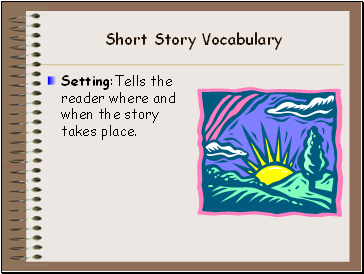 Setting:Tells the reader where and when the story takes place. 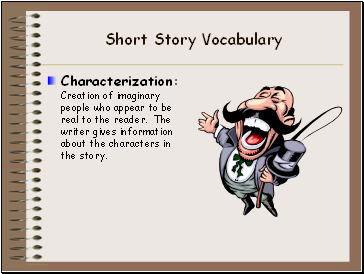 Characterization: Creation of imaginary people who appear to be real to the reader. 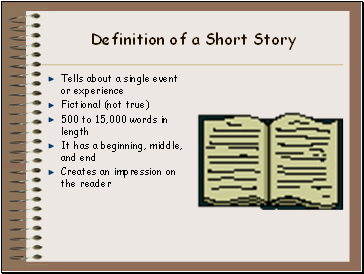 The writer gives information about the characters in the story. 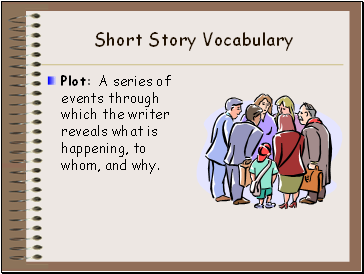 Plot: A series of events through which the writer reveals what is happening, to whom, and why. 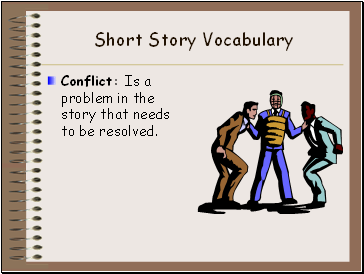 Conflict: Is a problem in the story that needs to be resolved. 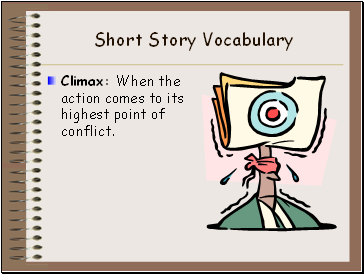 Climax: When the action comes to its highest point of conflict. 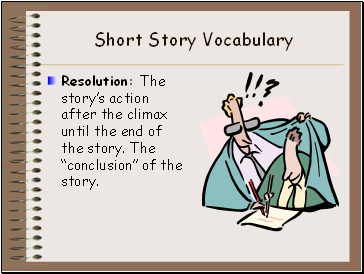 Resolution: The story’s action after the climax until the end of the story. The “conclusion” of the story. 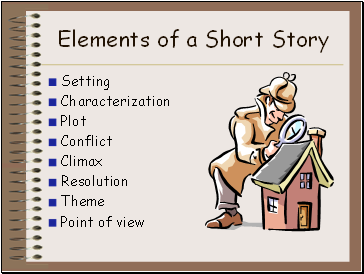 Theme: The story’s main ideas. 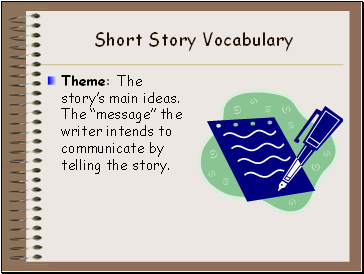 The “message” the writer intends to communicate by telling the story. 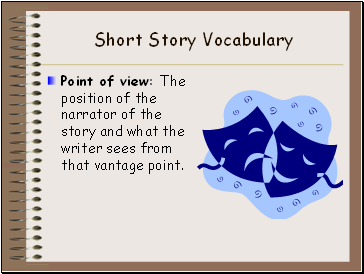 Point of view: The position of the narrator of the story and what the writer sees from that vantage point. 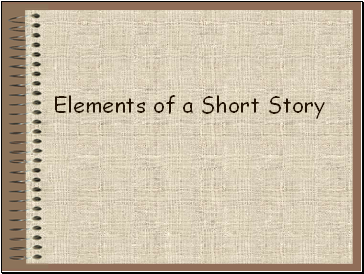 Great writers are able to use the elements of the short story with such precision that the reader is caught up in the action of the story. 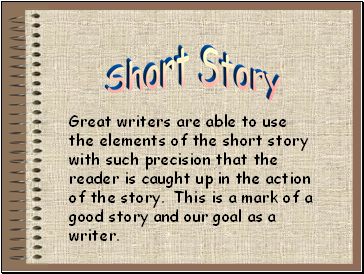 This is a mark of a good story and our goal as a writer.